We are pleased to announce that Tulane University has secured a campus-wide pilot for Unicheck plagiarism checker and originality detector for the 2019 spring semester. 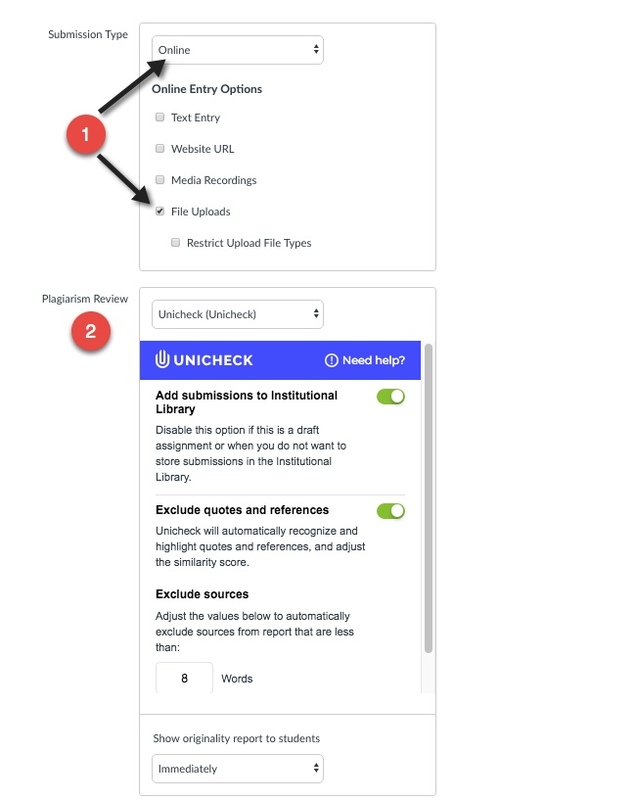 Unicheck is similar to Turnitin and will allow students to upload their assignments within Canvas for review. We are evaluating Unicheck as a replacement for Turnitin and would like your feedback. Unicheck is a cloud-based plagiarism checker and originality detection software that finds similarities, citations and references in texts, similar to Turnitin. Unicheck can be used for both for group and individual assignment submissions. Students will upload their assignment submissions within Canvas for your review and grading. We are evaluating Unicheck as a replacement for Turnitin and would like your feedback. Login to your Canvas course and navigate to Assignments. Click +Assignment to create a new assignment. Select “Online”, then “File Upload”. Select “Unicheck” from Plagiarism tool list. Edit the Unicheck settings according to your preferences. Review Unicheck feedback within SpeedGrader for the assignment.